Ladies and gentlemen, to quote Ted Turner, United Elementz Media is now in the “rasslin’ business” (sort of lol)! Welcome to our debut blog for WrestleBIZ where we look back at some classic wrestling moments from the good old days of the professional wrestling business (mostly 80’s, 90’s and 00’s)! 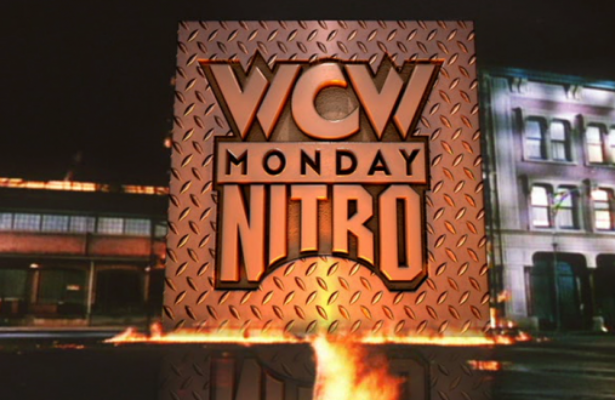 To kick things off we take a look at 3 matches from WCW’s Monday Nitro that are often overlooked by fans but are quite interesting moments that occurred during the Monday Night Wars between WCW and WWE (then WWF)!!! First we look at a match between Sabu and Alex Wright, that on paper, should have never really worked but actually did! Sabu, fresh off his super hot run as the wildman of ECW, was squared up against techno loving mid carder ‘Das Wunderkid’ Alex Wright for a real high flying treat! Something you would NEVER expect to see on a nationally televised wrestling show in 1995! Next up we have Goldberg’s classic match against ‘Lord’ Steven Regal! This match highlighted Goldberg’s inability to actually wrestle longer than 40 seconds as Regal humiliated him on live TV with an onslaught of pure wrestling moves (this we should note was during Goldberg’s massive ‘undefeated streak’)! Supposedly, even though the office had told him to have an actual 5 minute match with him, Regal was fired after this incident as they didn’t want their cash cow to look weak in the ring! Make your damn minds up!!! And lastly we go back to the dying days of WCW and check out their hopeful Crusierweight Tag Team division with proof that, had WCW found a new owner in 2001, the company would have thrived on the new talent they had coming in at the time! This match saw Elix Skipper & Kid Romeo take on the team of Air Paris and a man who take over the industry of skills alone, ‘The Phenomenal’, AJ Styles! A class match if I do say so myself!!! Until next time enjoy this little line up and we’ll be back soon!!! PEACE!! !